NETBALL: Natives Netball Club division 1 coach Kylee Johnstone says the team is getting closer to getting back to the glory days. 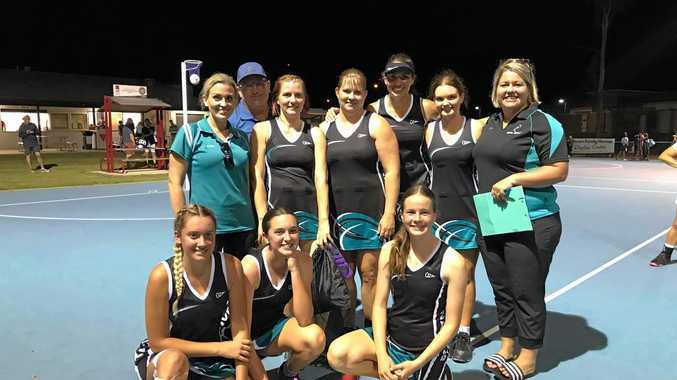 The last time the club won the top title in the Bundaberg Netball Association, in 2005, there was no such thing as the iPhone or Twitter and Facebook was restricted to just high school and college students before it took off in 2006. In fact, it's been almost a decade since the side last made the finals - 2009. The side last week won its first match of the season against Fusion Solomons 44-41 to move to fourth. Natives is now preparing to take on The Waves Blue today in the next round of the competition, looking for two wins in a row. "My goal this year is to finish inside the top four, play finals,” Johnstone said. "It's a pretty big expectation. The future comes from the club building over the past few years since it was forced to not field a division 1 side in 2010. "We're one of the bigger clubs now,” Johnstone said. Some of that talent in this year's side includes a couple of Bundaberg representatives in Kaylah Parker and Lana Moore. Johnstone said it was all about instilling confidence and making sure the team knew it can compete with the best. "They've earned their spot and they have a spring in their step,” she said. Johnstone hopes to do it again against The Waves Blue. The side plays The Waves Blue at 5.30pm at the Bundaberg Superpark with Alloway playing Brothers at the same time. Fusion played ladder leaders The Waves Gold at 4pm.